Beetroot relish - home cooked food delivered. This winning combination of beetroot, ginger, apples and more is a perfect mix of sweet and tangy. 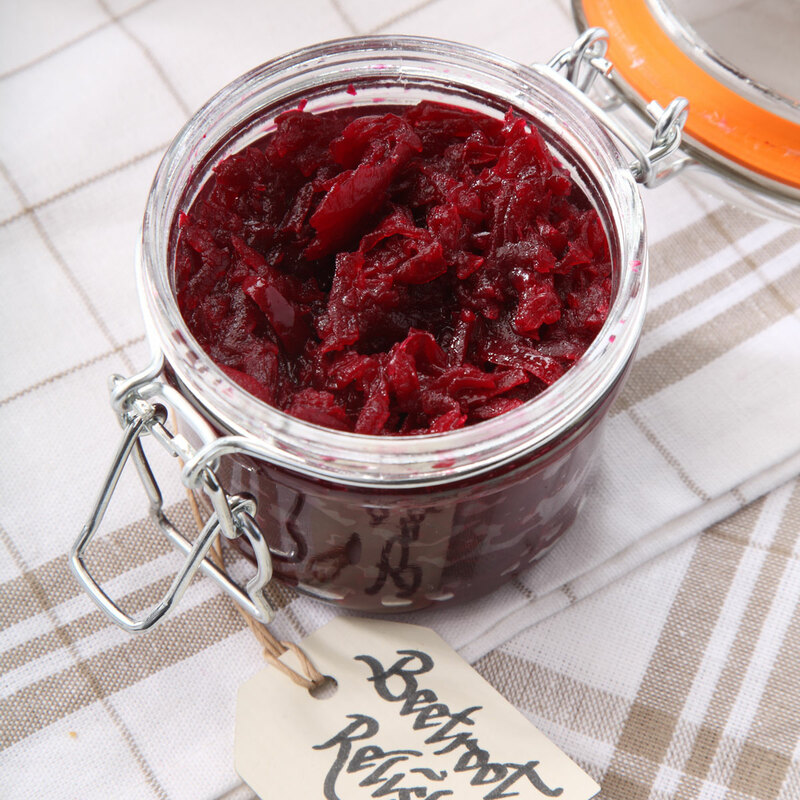 This beetroot relish looks simply amazing, and is an inspired accompaniment for cold meats, cheeses, pate and pretty much anything else. Beetroot, onion, salt, vinegar, sugar, apples, ground ginger. Keep refrigerated, use within 60 days.